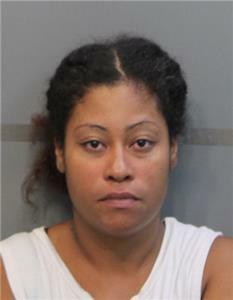 Investigators with the Chattanooga Police Department have arrested Maja Madesha Garcia-Thompson, 30, for an incident last September when a liquid was thrown in the face of a CARTA employee. She was arrested for aggravated assault and reckless endangerment. On Sept. 26, 2017, at 7 a.m. Chattanooga Police responded to CARTA headquarters at 1617 Wilcox Blvd. on a call of aggravated assault. The victim had exited her vehicle and was walking toward the CARTA building when the suspect approached her. The suspect then threw liquid from a cup on to the victim's face and fled. Bystanders assisted the victim until Hamilton County EMS could arrive to treat the victim. Four other people in the vicinity were also treated for exposure to the liquid. CFD Hazmat tested the substance on scene and determined it was non-life threatening. Some of the substance was sent out for additional testing to determine its exact composition. CARTA has since erected a fence around the employee area.